Women are such hard workers that sometimes they forget to care for ourselves. Well stop right there. 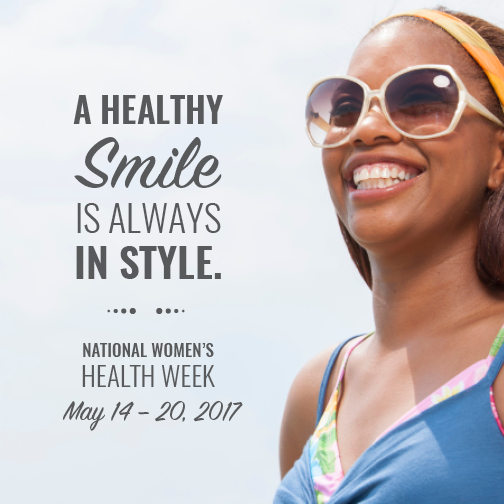 We’re here to celebrate National Women’s Health Week to empower all women to make conscious health decisions a priority! It’s time to think of yourself first and make sure you are constantly striving to better yourself and your health everyday. As you can see these answers vary from health to diet to nutrition and self-care. Often times these things are taken for granted but they do increase the longevity and quality of our life. The best thing women can do for themselves is to take care of their body. But health doesn’t just pertain to your physical well being, it also includes your emotional and mental well being. Make time to wind down and have some me time, recharge by doing the things you love and emptying your plate just a tad. Protect your body, your heart, and your mind by practicing good habits daily to keep yourself energized, alert, and productive. Getting your annual physical checkup will ensure you are on the right track with all your health needs. The doctor will notify you of any tests or vaccines that may be due plus it’s also an opportune time to inquire over any curiosities you may have. The great thing about healthcare now is that it encompasses physical, emotional, and mental components and address any concerns you have regarding your life. The older you become, the more things the doctor needs to examine so be sure to get your physical annually to keep your health in check! Find out more about your age group health requirements here. Of course, you didn’t think we’d let you go without telling you to take care of your teeth as well, right? Brush, floss, and get regular dental checkups to make sure your oral environment is at bay. Aside from dental restorations, bacteria buildup and periodontal issues are linked with cardiovascular disease as well (and we don’t want issues there!). Live healthy, be healthy. 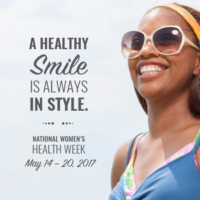 A healthy smile never goes out of style 🙂 Call us at 206.440.0065 to schedule your next dental checkup.